LED-Natural Oil contains a unique mix of oils, resins and additives. For this reason the oil cures and hardens instantly when it comes into contact with LED-light. Therefore no drying space or drying time before packaging is needed. Flooring finished with LED-Natural Oil are suitable for high traffic area’s , residential and commercial projects because of its highly wear-resistance. When finished, the wood surface is instantly resilient and protected against dirt and moisture. (2 coat system) depending on the type of wood. The product should be applied in the factory on a roller-coat oiling machine. After applying oil, the excess is buffed out/in with the buffing machines. Any other excess is taking away with the final brush. 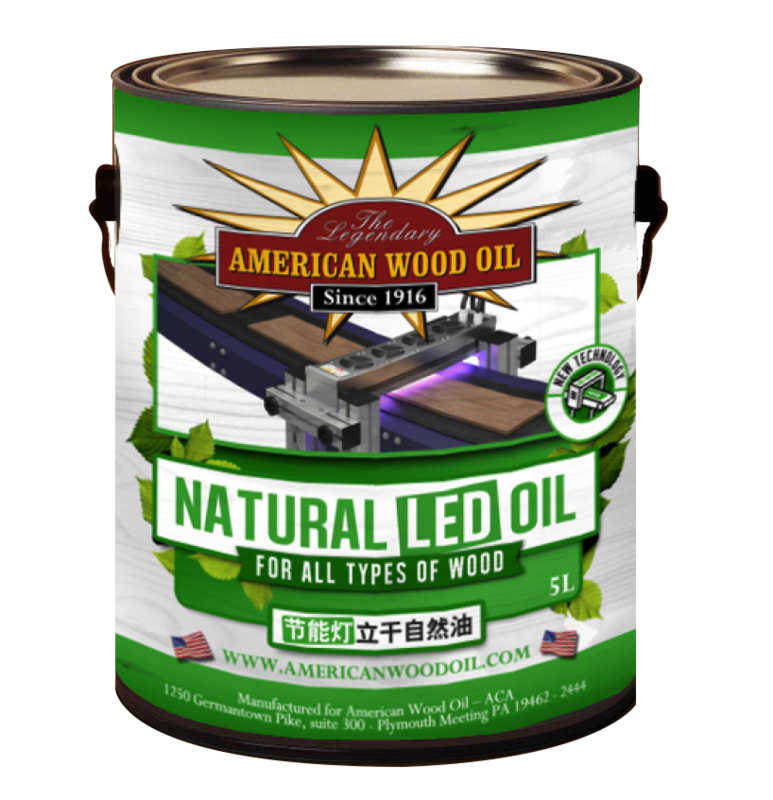 The oil dries instantly when passing the LED-light strip at the end of the oiling line. (Room temperature should be minimum 16°C and at normal air humidity (55 to 75 %).